Robert Towne’s movie version of Ask the Dust sure looks beautiful. 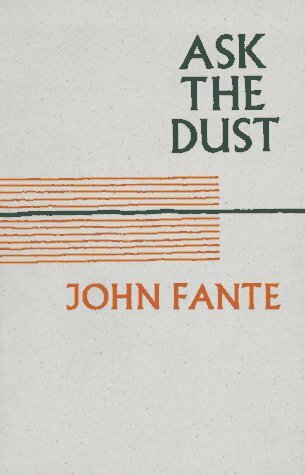 Unfortunately, save for describing author John Fante‘s prose for his 1939 novel’s perversely heartbreaking tale, it’s difficult to imagine a reader, upon finishing the book, clutching it to breast and declaring, “That was beautiful!” The story is not a pretty one, nor are the people who populate it. Colin Farrell and Salma Hayek are not the stuff of Fante’s rooming-house-ridden Bunker Hill. The magic-hour look of Towne’s Ask the Dust owes much to the golden cinematography of Chinatown (for which he wrote the screenplay); conversely, Chinatown owes much of its period feel to Ask the Dust, which Towne purportedly used in researching the earlier film. The romanticized look of Depression era Southern California worked as a nice counterpoint to Chinatown‘s doomed private eye story (though even director Roman Polanski subverted that look by slapping an unsightly bandage on Jack Nicholson’s nose for half the movie and by not trying to hide the small scar on Faye Dunaway’s face), but it has no place in Fante’s twisted love story. A great book, Ask the Dust deserved the same kind of honest trip to the screen that director Barbet Schroeder gave to Charles Bukowski‘s Barfly. Bukowski was a huge fan of Fante’s and, in the Seventies, did all he could to spread the word to his readers of Fante’s brilliance. But Towne clearly wanted to make this film (at 71, it’s only his fourth as director, though he’s written 34 screenplays — and had an uncredited hand in a slew of others). His misstep was in making a movie that served as a love letter to Fante’s book instead of one that would allow viewers to love it, too. Robert Towne is a fine writer and has been a fine director (Personal Best demonstrated that), but, at the risk of sounding like a disappointed mother to her misguided child, I’m so glad Charles Bukowski isn’t alive to see this.